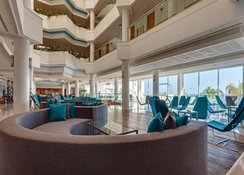 A three-star, family friendly property on the beach of Paphos in Cyprus, Sentido Cypria Bay offers the perfect blend of tranquility and entertainment. Well-furnished rooms with sea views, proximity to the city centre, a private beach and ample facilities for recreation are what makes this all-inclusive hotel popular among tourists. Stroll along the beach, rejuvenate yourself at the spa, take a dip in the relaxing pool or enjoy a cocktail at the beach bar while gazing out on the azure sea – Cypria Bay is the place to stay in style in Cyprus. The hotel’s fabulous restaurants serve a mix of international and local cuisines, while the in-house nightclub hosts lively shows. 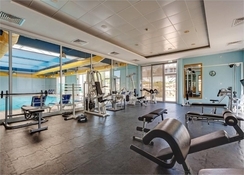 There’s a gym for fitness lovers, plus a kids’ club, children’s pool and playground for the tiny tots. Outside the hotel, you can explore the ancient harbour of Paphos or the ancient Byzantine monasteries. 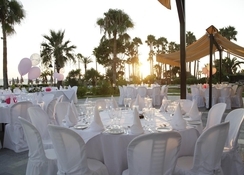 Sentido Cypria Bay is located right on the fine sandy beach of Paphos on the south-west coast of Cyprus. This hotel is about 2 km from the city centre, and not far away from the local attractions. The nearest airport is at Paphos, 17 km away. The hotel has 225 guest rooms, broadly categorised into double rooms, family rooms, studios and suites. Spread over three floors, these stylishly decorated rooms offer excellent views of the sea or the hotel grounds. All rooms come equipped with en-suite bathrooms, satellite TV, Wi-Fi, safe, air conditioning, electric kettle, hairdryer, mini fridge and balcony/terrace. Some room facilities may be chargeable. 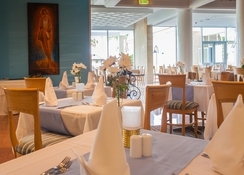 The hotel’s buffet restaurant Semeli serves breakfast, lunch and dinner. The breakfast is largely continental, but dinner is a mix of local cuisine and international specialties with drinks served alongside. 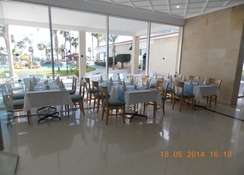 Thalassa is an a la carte restaurant which serves Cypriot and international cuisines. 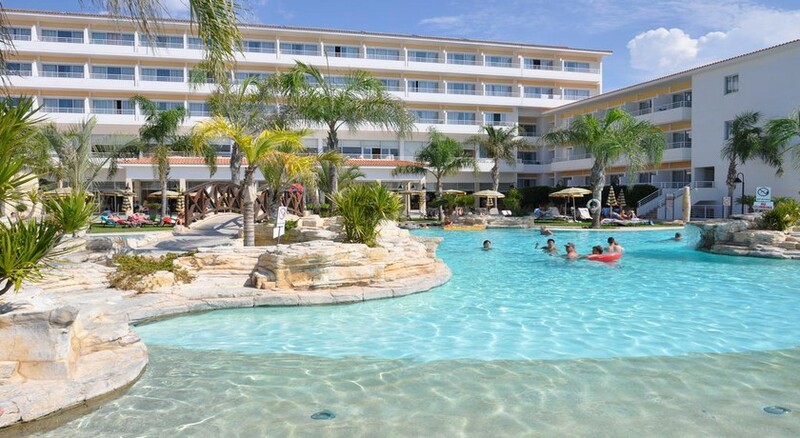 The lobby bar, beach bar and pool bar serve a range of drinks, snacks and light meals. At night, the Falcon Night Club serves drinks while you enjoy entertainment shows, cabaret and live music.